During the first world war, a young boy in a Bedouin encampment (Jacir Eid) grows curious about the blond-haired, blue-eyed Englishman (Jack Fox, with decidedly evokes Lawrence-like mien) who’s appeared from nowhere with a (what he believes) is a trunkful of gold. 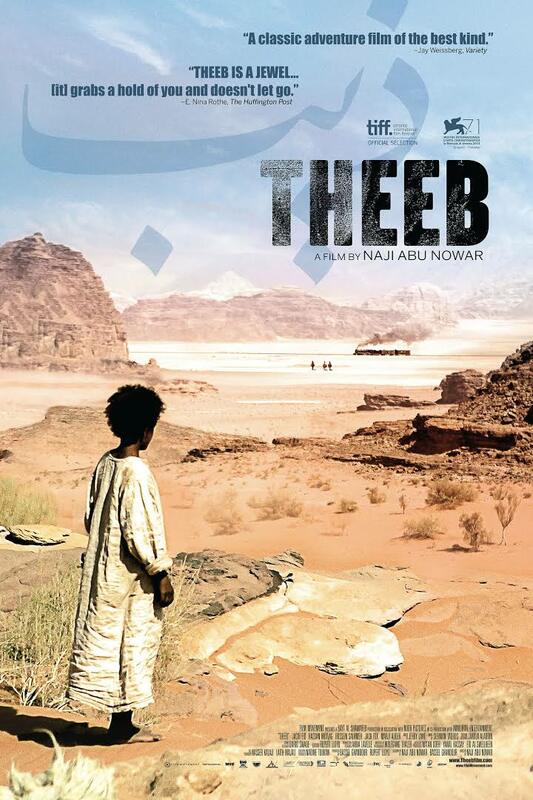 “Theeb” is the directorial debut of Naji Abu Nowar, a British-born Oxford-educated filmmaker who grew up in Jordan. The film is an Aabic-version throwback to the westerns in the tradition of Sergio Leone. 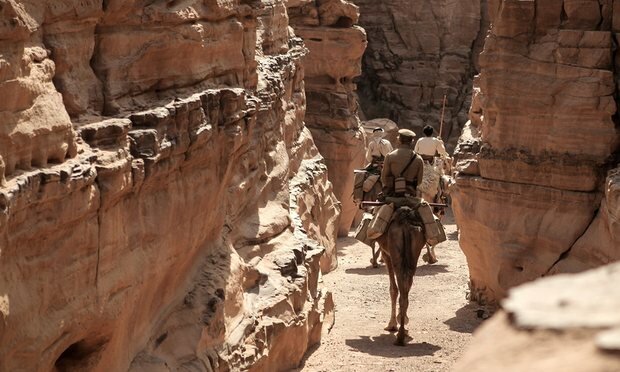 THEEB was Jordan’s entry in the foreign language category of the 2015 Academy Awards. 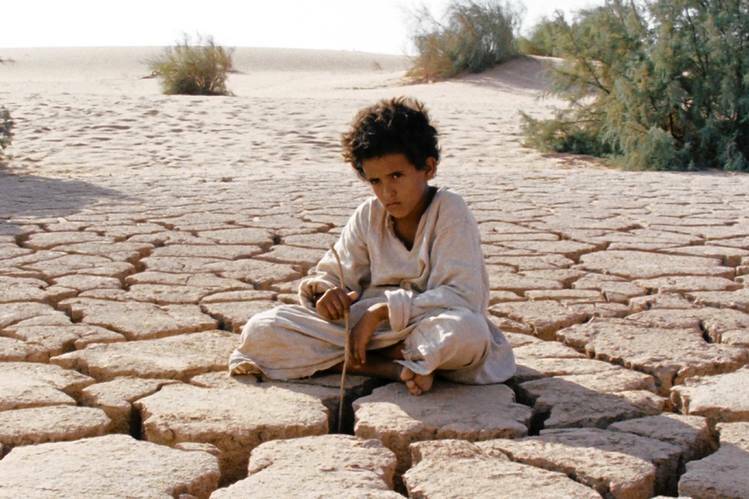 Events in history are seen through the eyes of a Bedouin child named Theeb (Jacir Eid), who has had no contact with the world outside his desert community. The young hero, played by Jacir Eid, got his name from his father, now deceased. It means “wolf” in Arabic. Coming from a family of pilgrim guides that roam the deserts on camels. Theeb, whose father has recently died, is the youngest of three sons in this family of guides. During these years, traditional Bedouin culture is being rapidly disrupted by the new railway a railway (nicknamed the Iron Donkey Trail) connecting Damascus and Medina. This would soon eliminate the need for Bedouin pilgrim guides. The story begins in Theeb’s traditional Bedouin desert community, where, in the middle of the night, a blond British Army officer, Edward (Jack Fox), and his Arab sidekick, Marji (Marji Audeh), appear out of nowhere, seeking a well near the Ottoman train tracks. Edward has a wooden box rumored to contain gold. Hussein (Hussein Salameh), the second-oldest of the three recently orphaned brothers, agrees to lead the party. Theeb, instructed to stay behind is already recieving training in use of guns and how to wield a knife. He is a natural warrior who has an avid fascination with weaponry. Theeb, whose name means wolf, disobeys his brother and follows the men to the well, which they discover to be contaminated from slaughtered bodies thrown into it. Minutes later, they are ambushed in a canyon by a band of outlaws, and Edward and his companion are killed. Hussein and Theeb abandon their camel and flee to higher ground, but the next day, Hussein is shot before Theeb’s eyes, leaving the younger boy unarmed and alone, to brave the elements and the Arabic equivalent of the Wild West. More than style, though, it’s the substance of “Theeb” that’s memorable. The story of a Bedouin Boy’s Brutal Coming-of-Age whose nomadic way of life is threatened by war raging across the Ottoman Empire. THEEB, as a Bedouin-western film features the wide-open spaces of Jordan, the locations are as awe-inspiring in their breadth and aridity as the vistas. The film’s acute sense of this unforgiving environment is underscored by a soundtrack in which gunfire and voices ricochet eerily through the spiky canyons and arid mountain passes. Theeb is continually brushing off bugs. He learns about guns, dangerous strangers and the need to make strategic alliances with one’s enemies. Every Bedouin character, huddling round campfire games and slaughtering sheep, is played by a real-life tribesman. 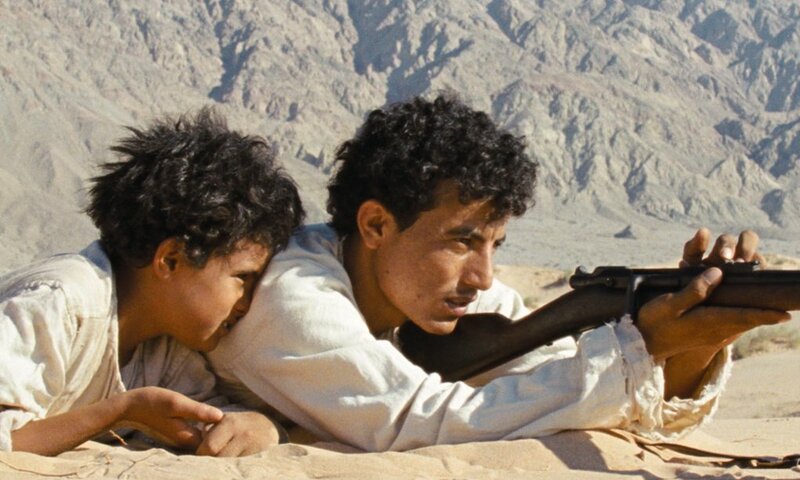 However the film isn’t political or anti-colonial in a conventional sense, but it plays out at a time when, as the boy is told (by a particularly dangerous stranger who is also a pilgrim guide), the railroad and what it brings is destroying Bedouin culture to the point of brother killing brother. Theeb himself is a pilgrim, searching for brotherhood in a bewildering world of sand lashed by relentless winds. This entry was posted in World Films and tagged Academmy, Bedouin, camels, damascus, desert, foreign language film, iron donkey, jacir eid, jordan, Lawrence of Arabia, medina, Naji Abu Nowar, nomads, oscar, ottoman, pilgrim, Sergio Leone, tribes, western by Praas on World Films. Bookmark the permalink.